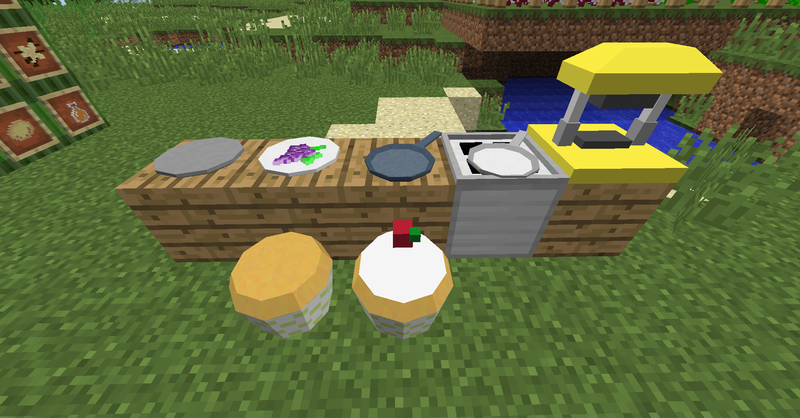 Cooking plus is a mod primarily focusing on giving the player a wider variety of food stuffs, and some additional cooking appliances for processing these new foods to make them more beneficial to the player. 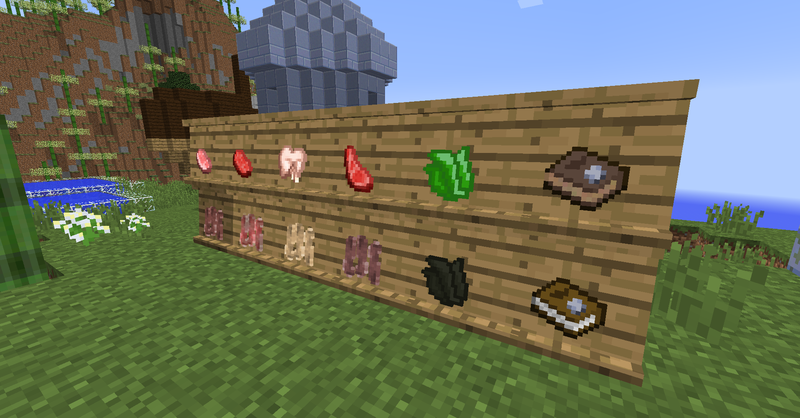 There is also an additional buff and other bits and pieces to make the Minecraft cooking and farming experience more realistic. 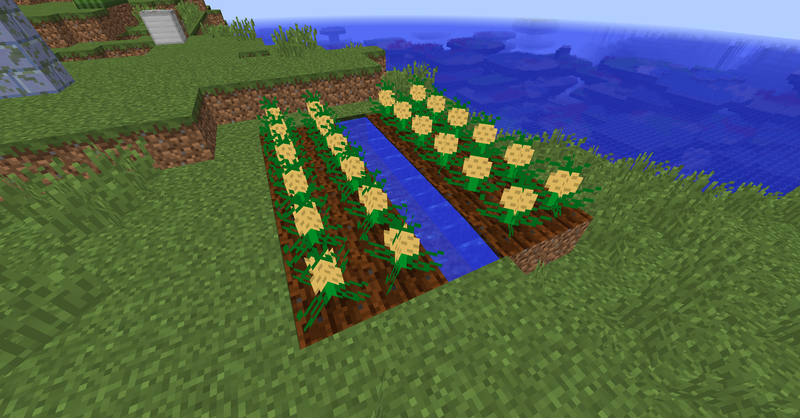 Cotton Seed: Used to plant a cotton plant. Chilli Seed: Used to plant a chilli plant. Onion Seed: Used to plant a onion plant. Beetroot Seed: Used to plant a beetroot plant. Grape Seed: Used to plant a grape plant. Hop Seed: Used to plant a hop plant. Fishing Net: Used for catching prawns. 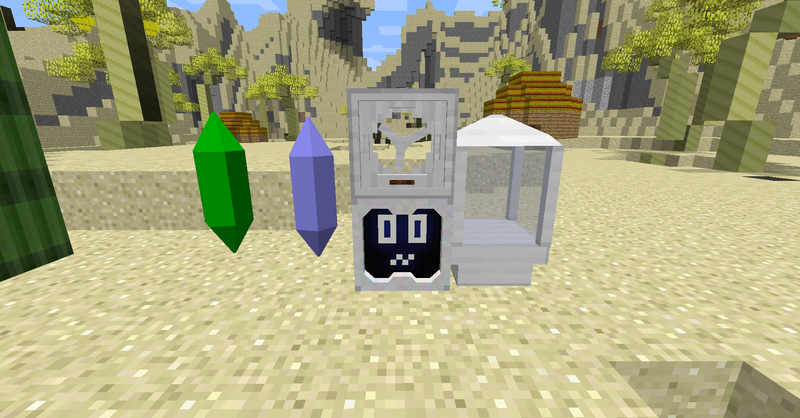 Juicer: Used for making juices. 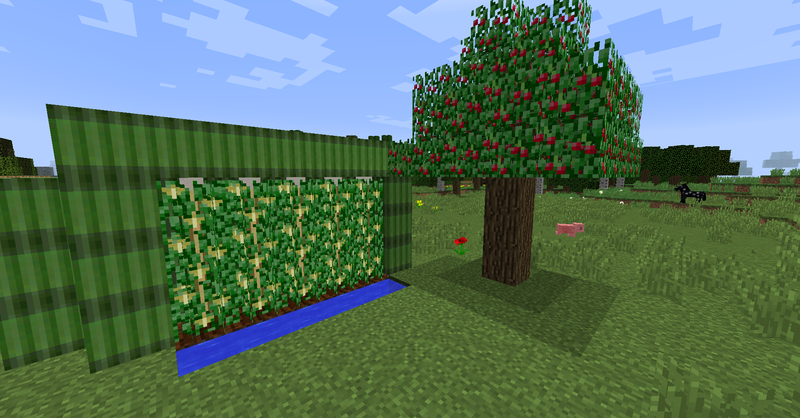 Apple Sapling: Used to plant an apple tree. Lemon Sapling: Used to plant a lemon tree. Peach Sapling: Used to plant a peach tree. Lime Sapling: Used to plant a lime tree. Orange Sapling: Used to plant an orange tree. Bamboo Sprout: Used to plant an bamboo stalk. Cotton Crop: Grows cotton buds. Heater: Used to heat up teapot and frying pan. Unfired Frying Pan – used to make Frying Pan. Unfired Plate – Used to make Plate. Plate – Holds a single item of food. Frying Pan – Used to fry certain foods. Sheet Press – used to turn molds and iron sheets into other items. Large Sponge Cupcake – a large edible cupcake. Large Vanilla Sponge Cupcake – a large edible cupcake. Vanilla Crop – used to grow vanilla pods. Cherry Leaves- drops cherries and cherry saplings. Cherry Sapling – Grows Cherry trees. Barrel – Used to store water and turn cream into cheese. Drying rack – used to dry certain items. Saucepan – used to boil items. 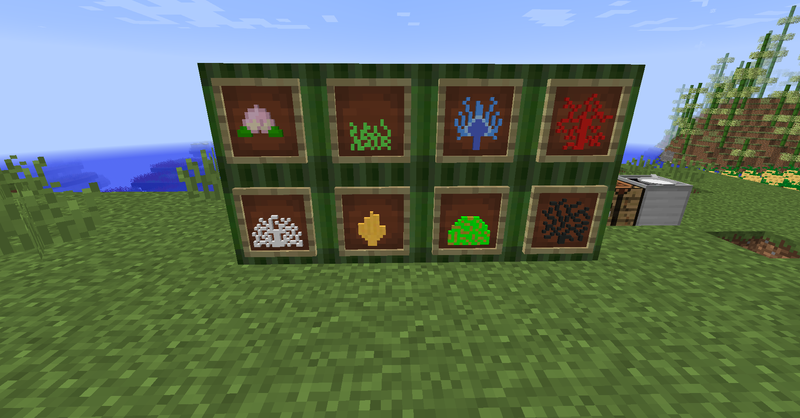 Growth Crystal – increased growth rate of surrounding crops. Water Crystal – Provides a free water orb when right clicked. Avocado Leaves – Drops avocado saplings and avocados. Avocado Sapling – Grows Avocado tree. 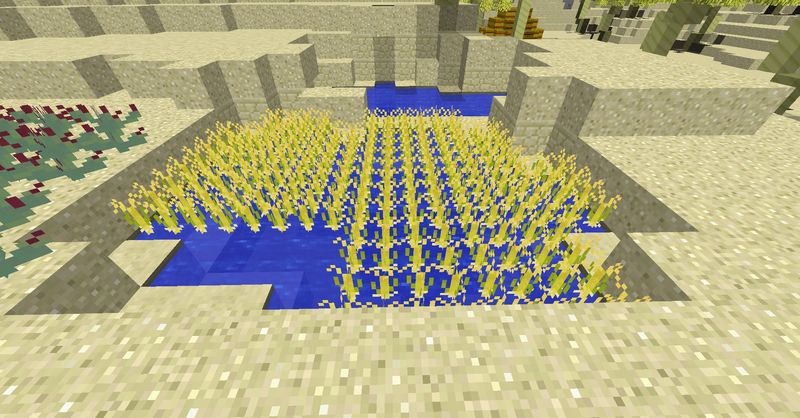 Rice Crop – Grows Rice. Prickly Crop – Grows Prickly Pears. Brick Oven: Used to cook food. Fermenter: Used to turn certain juices into alcohol. Butter Churn: Used to turn milk into butter. Oil Press: Used to turn seeds into vegetable oil. 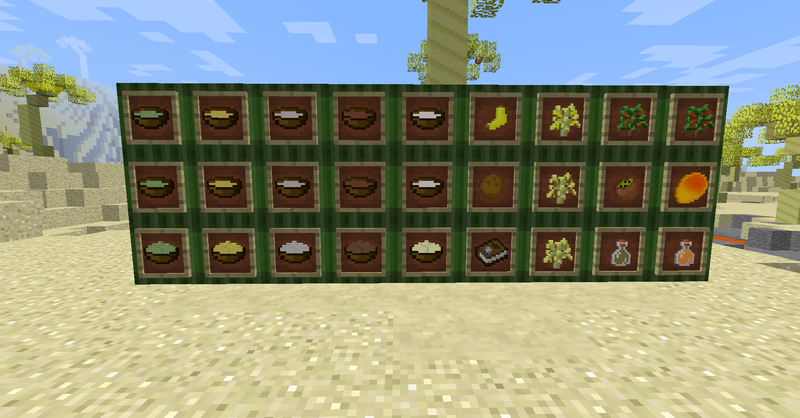 Market Box: Used to display food items. 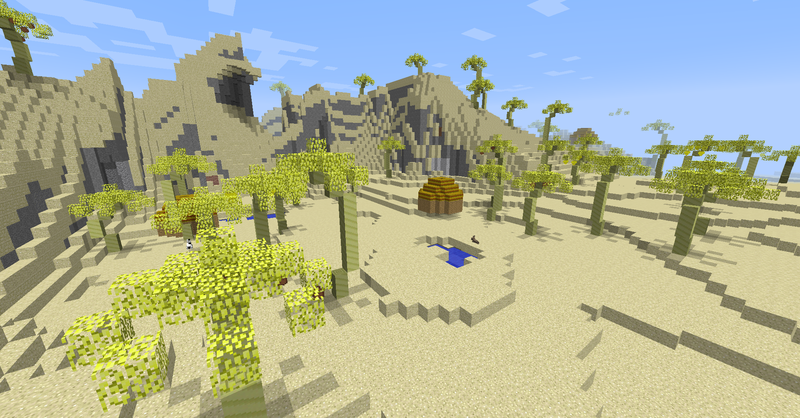 Spawns randomly in orchard, bamboo, forest, plains and mountain biomes. 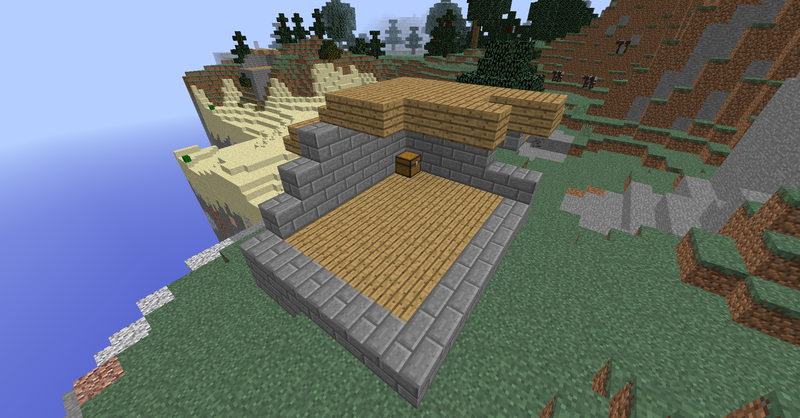 These are half destroyed buildings which spawn with a chest inside with a handful of seeds and other helpful items. 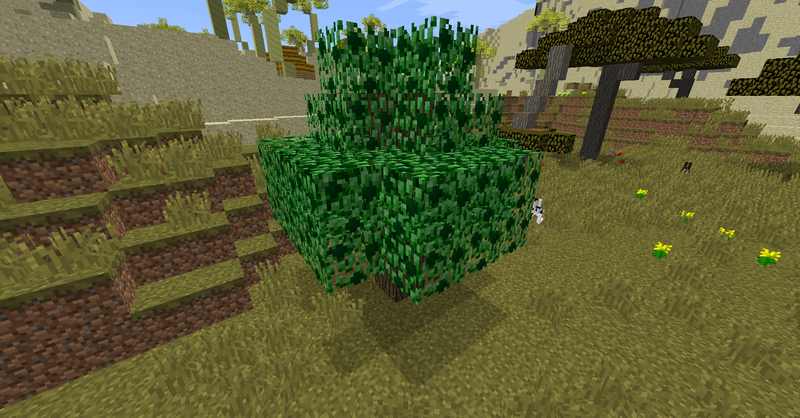 Bushes spawn randomly in orchard, bamboo, forest, plains and mountain biomes. 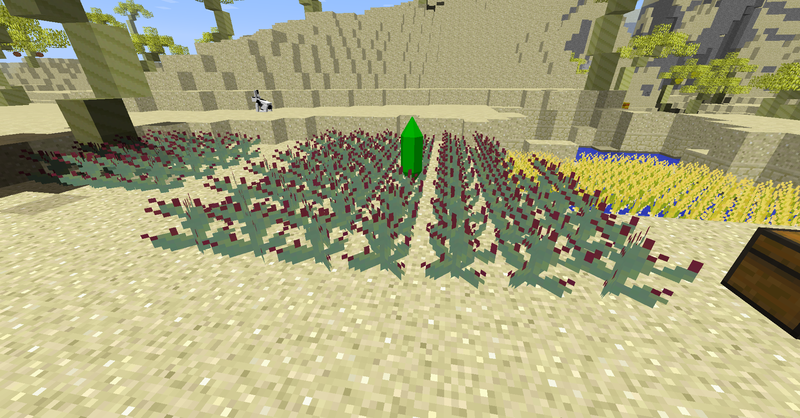 They can be any of the bushes present in the mod and spawn in clusters between 1 and 5 blocks. 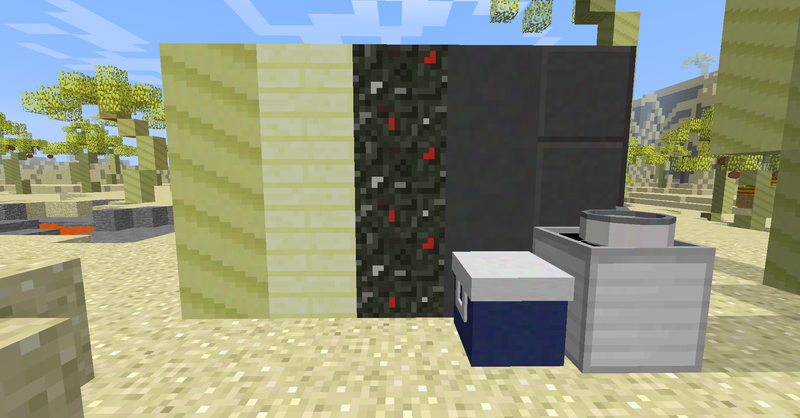 Salt blocks spawn randomly like ores do underground. 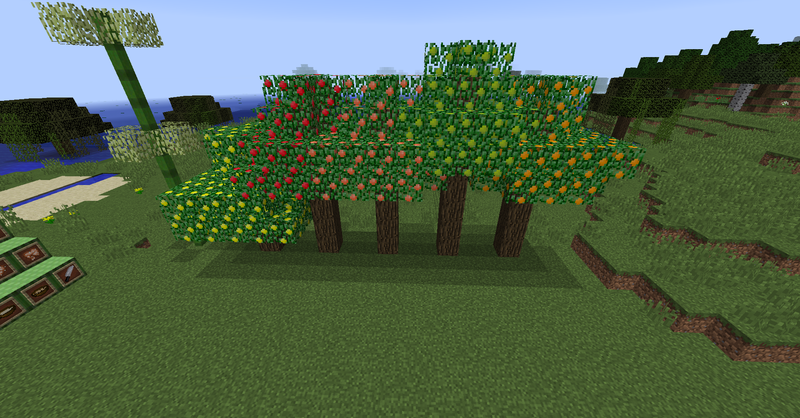 A forest like biome filled with fruit trees and bushes. 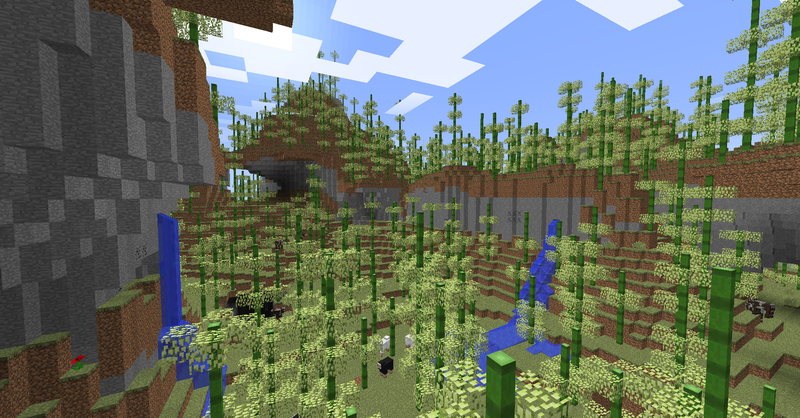 A hilly biome filled with bamboo stalks. 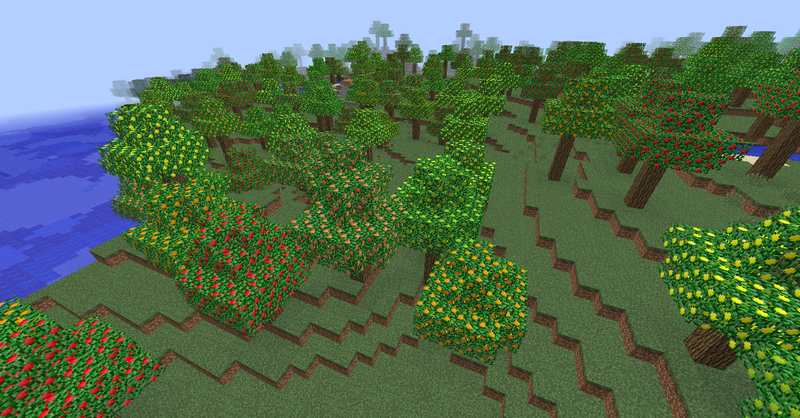 Herbs spawn alone in orchard, bamboo, forest, plains and mountain biomes and will spread over time in daylight. 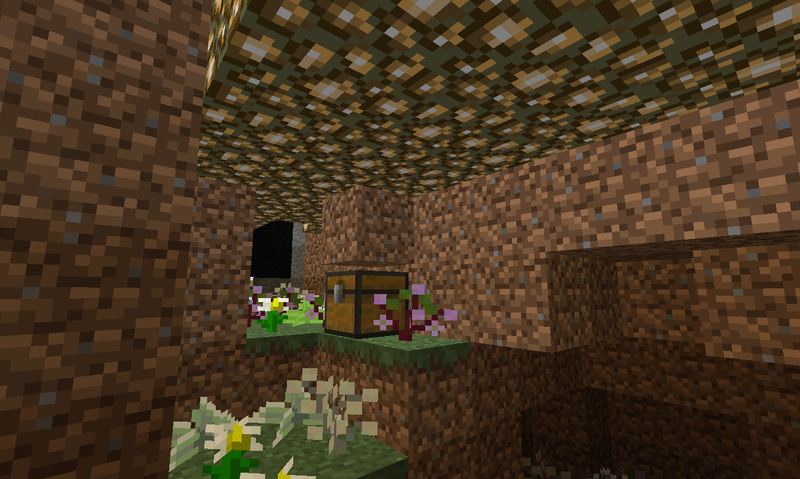 Underground Cornucopias spawn randomly in caves, with a glowstone roof, grass floor with a chest in the middle filled to the brim with various goodies, and surrounded by plants. Large Underwater coral reefs that spawn a variety of corals and also underwater ship wrecks. 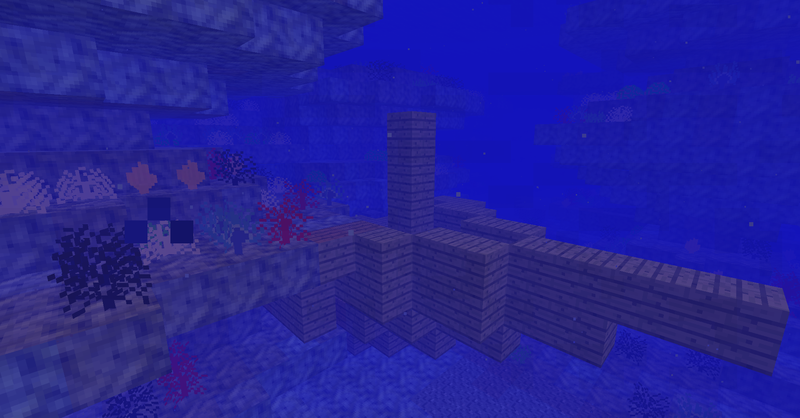 Large underwater biome filled with kelp and also underwater ship wrecks. 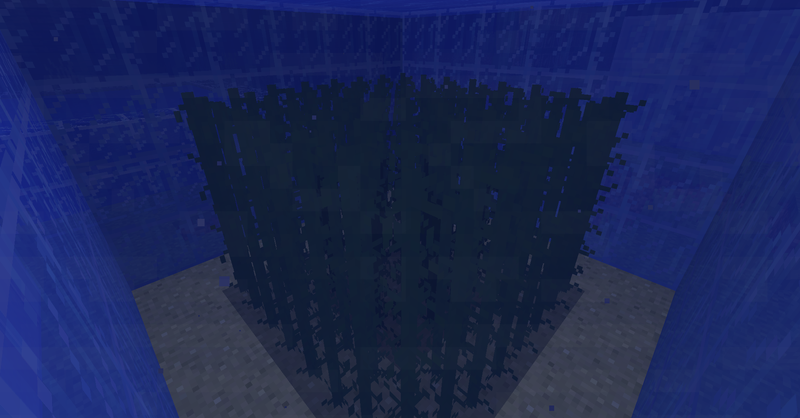 These spawn underwater in Coral Reef and Kelp Forest Biomes where the sea is deep enough. 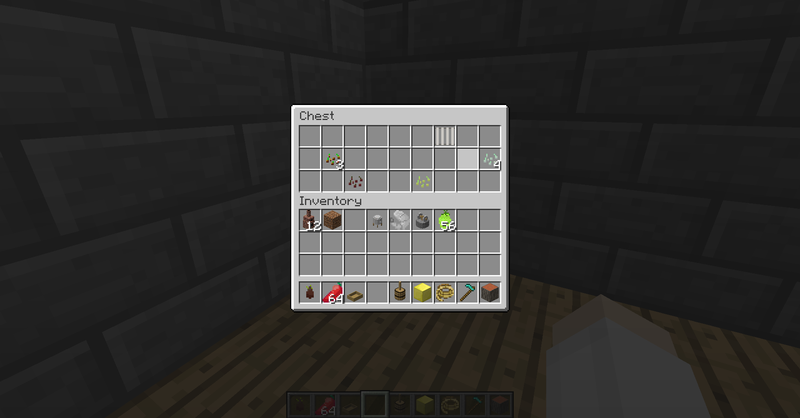 they sometimes come with chests with goodies in. A deep underwater coral reef willed with giant corals and lava vents, some filled with lava, others with rich hydrothermal veins. A desert like biome sparsely populated with palm trees and the occasional banana and coconut tree. Tropical huts also spawn here occasional and are filled with similar loot to abandoned farm houses. 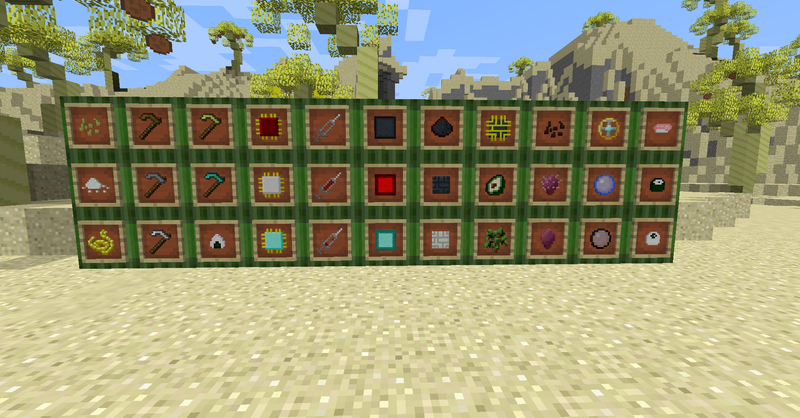 The new Magic Vs Science Update adds a variety of blocks and items to help make your farms faster and more efficient. 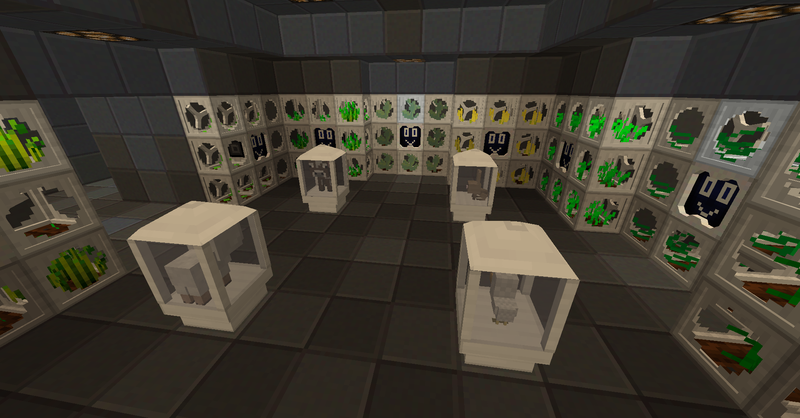 The new Hydroponics Block will allow you to grow more crops in a smaller space. Only got one chicken? no problem, the new cloning vat will allow you to clone him many new friends. The Happy Harvest Bot does away with having to harvest your hydroponic blocks as he will happily harvest and replant the crops for you. 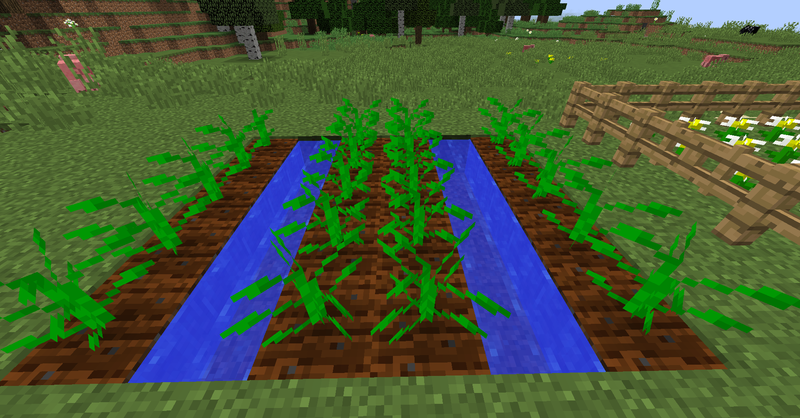 The new Growth crystal will speed up the growth rate of any crops around itself and the new Water Crystal will provide an endless supply of Water orbs which can be used to place water anywhere you like. 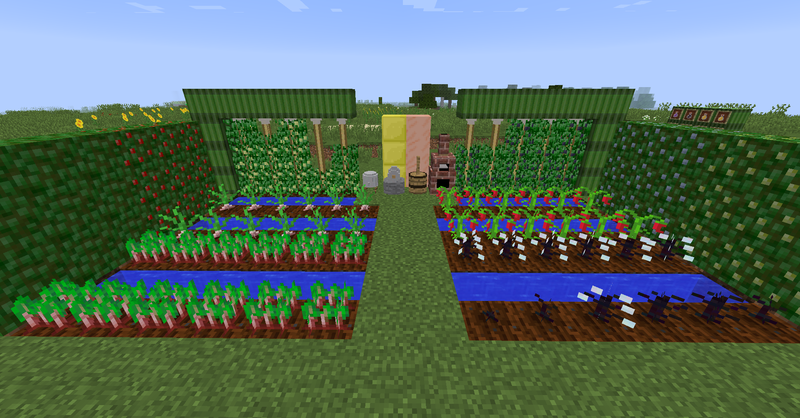 On top of this, the update adds two new crops, Rice and Prickly Pears, and adds avocado trees. 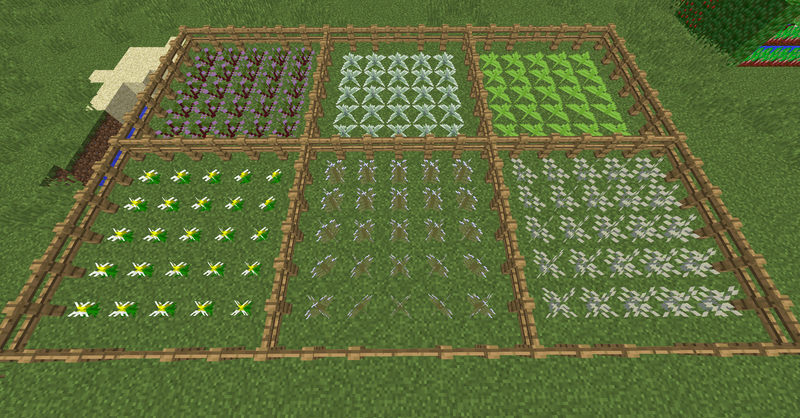 There is also a new tool, the scythe, these will allow you to clear a 3×3 area of crops, grass or leaves quickly. 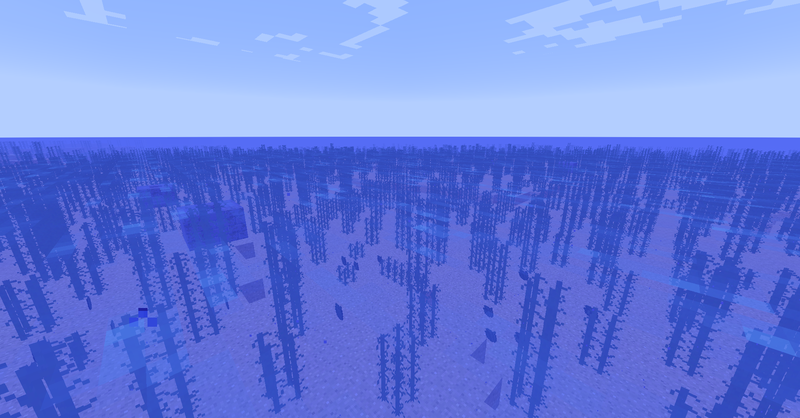 – Mushroom biomes should no longer override ocean biomes. 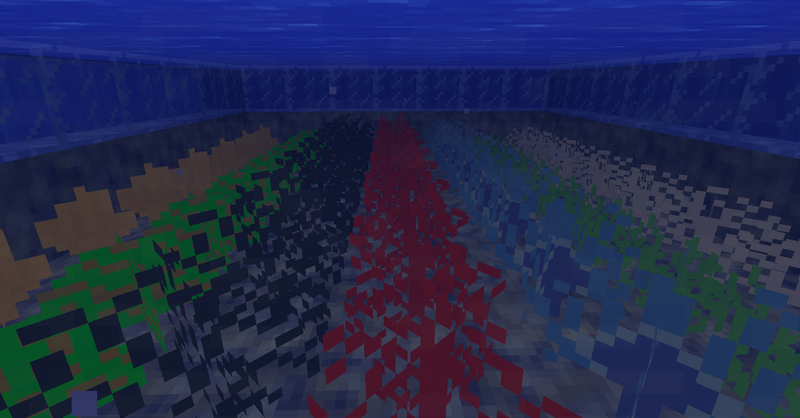 – Adjusted spawning of water biomes. – Increased chance of looting a Mysterious Orb. 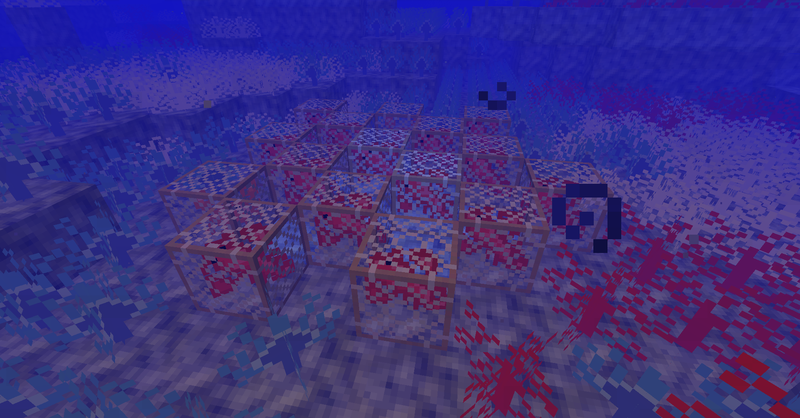 – Decreased chance of salt blocks spawning. – Hydrothermal Veins now drop silicon dust as well. 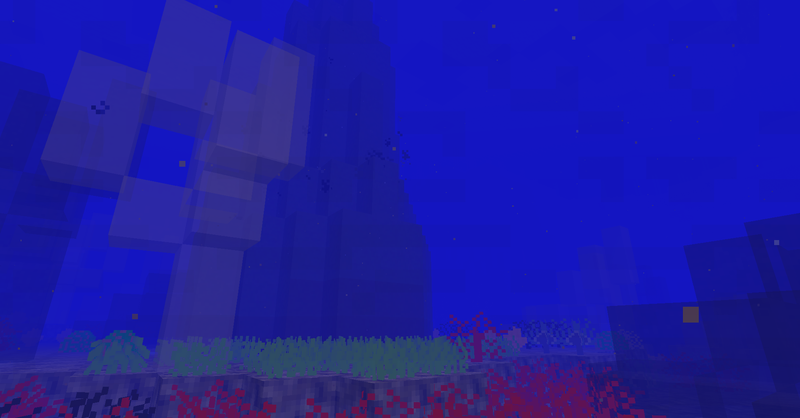 The new tropical update adds two new biomes, the tropical hills biome and the deep reef biome. There are also several new tree types such as palm, banana and kiwi and some delicious new ice creams to make with the new saucepan and ice box. 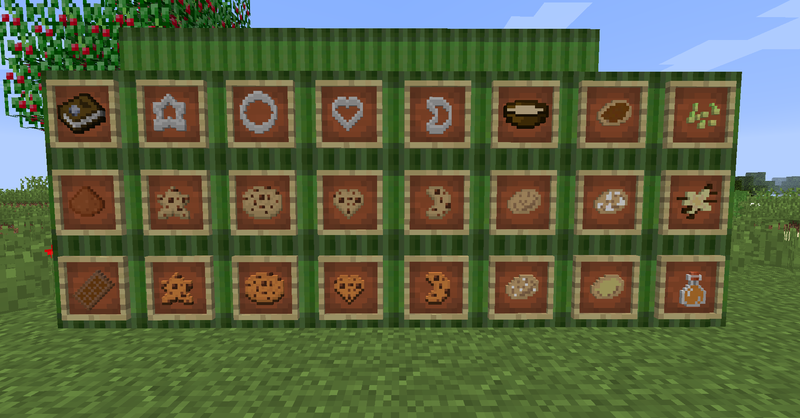 – New Bread Dough Texture. 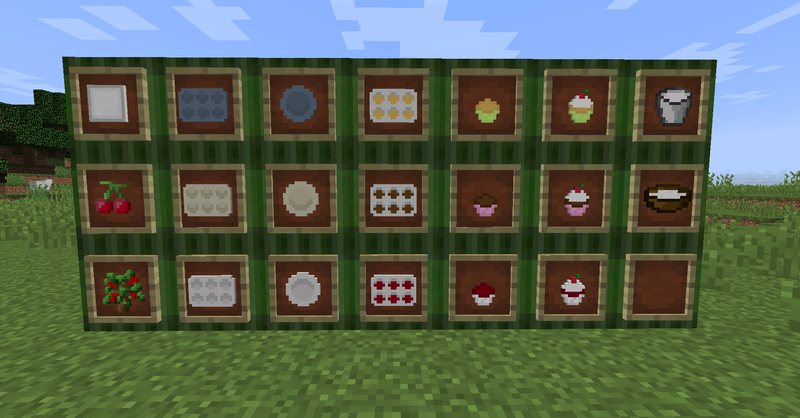 – New Cake Batter Texture. 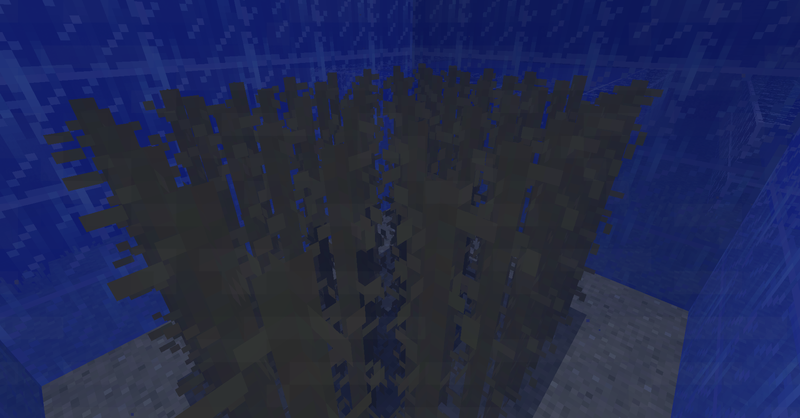 – Coral Rock should no longer devour trees or carve into other biomes too much. – Drying racks has had anger management and should no longer hurt the player. – Minecraft steve has given up his bowl eating habits and now only eats the soup of beetroot soup. 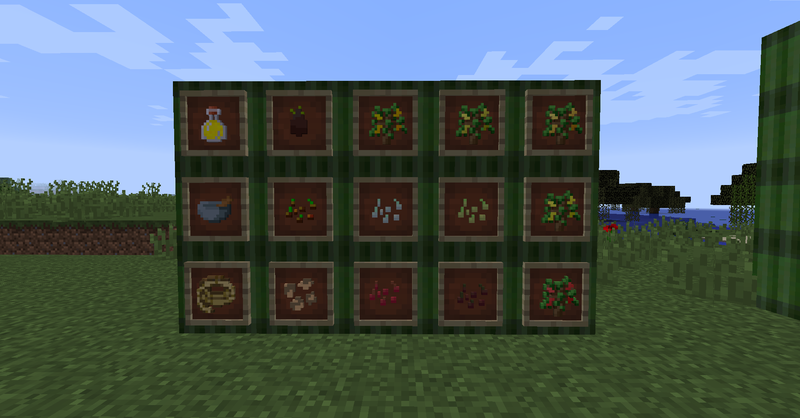 – Herbs can now be used with the pestle and mortar to acquire their leaves. 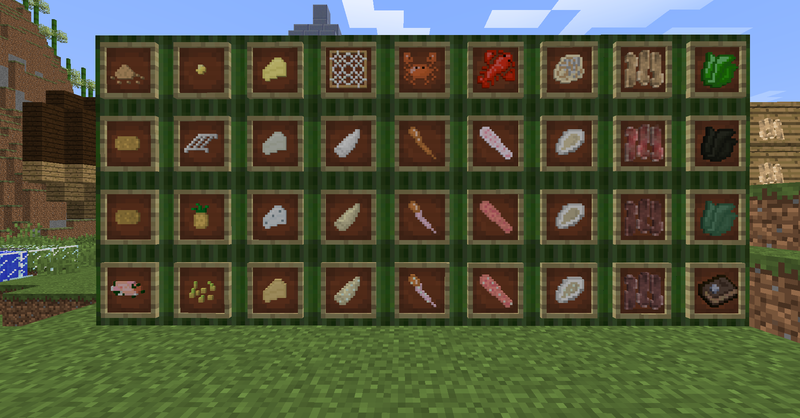 This update bring two new biomes, three new crops including kelp, seaweed and pineapples, as well as cheeses which can be produced from cream in the new barrels. 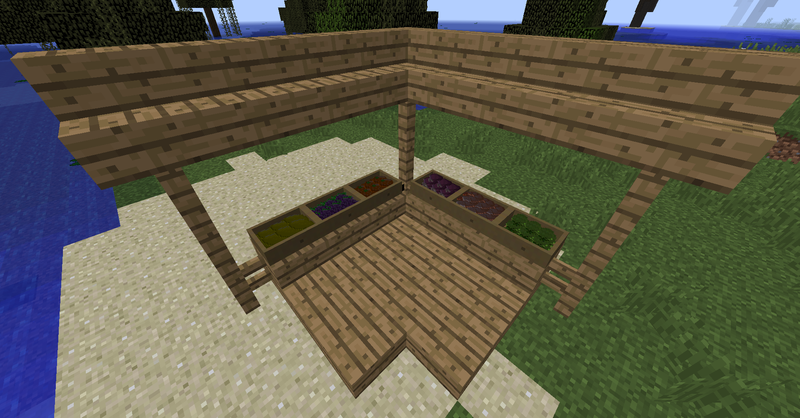 There are also new structures such as drying racks, and various others, as well as corals for new sources of dye. – New Metal Rack Texture. 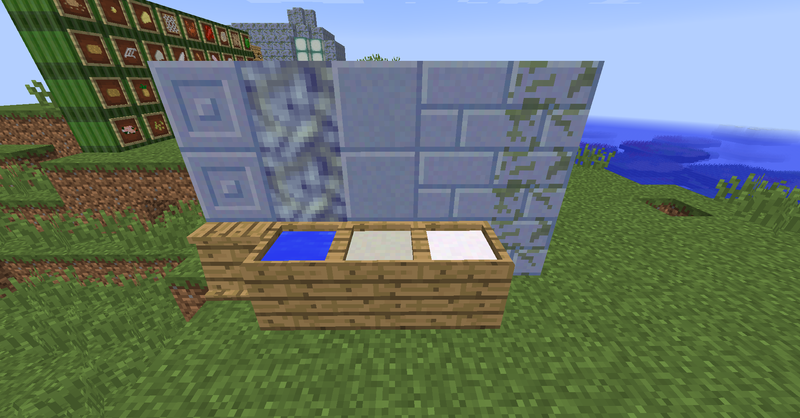 – New Chunk of Butter texture. – Added a config file with a variety of options. 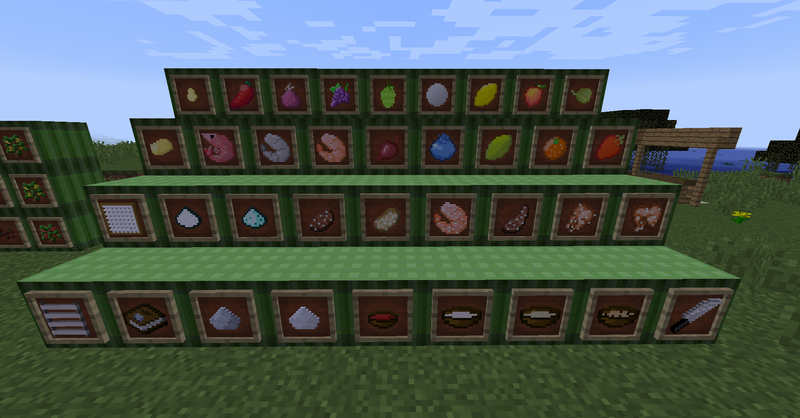 The sweet tooth update adds a new crop, a new tree, pancakes, and various other sweet things. 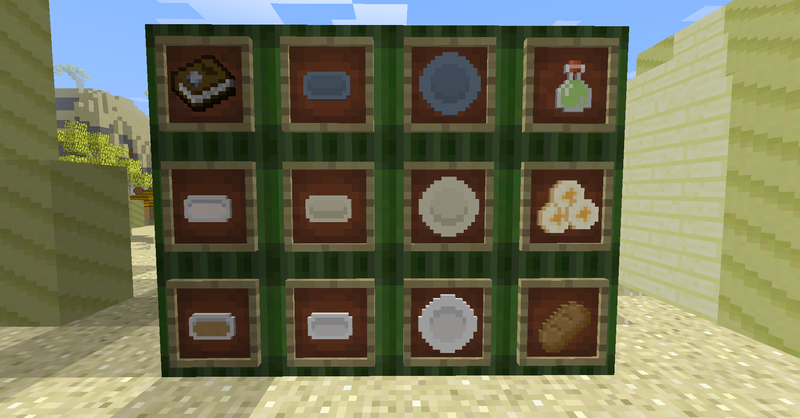 Additionally, there are four new pottery guides for things such as plates and cupcake molds, as well as the underground cornucopias, which spawn randomly and are filled with goodies normally found in farmhouses. – Market Box has new recipe so it doesn’t clash with trapdoor. 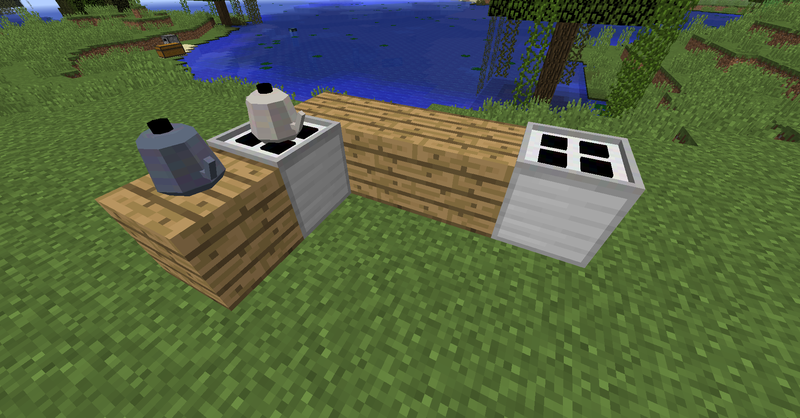 – Various multiplayer lag fixes relating to tile entity updating. – Lighting Issues with items in Market Boxes. 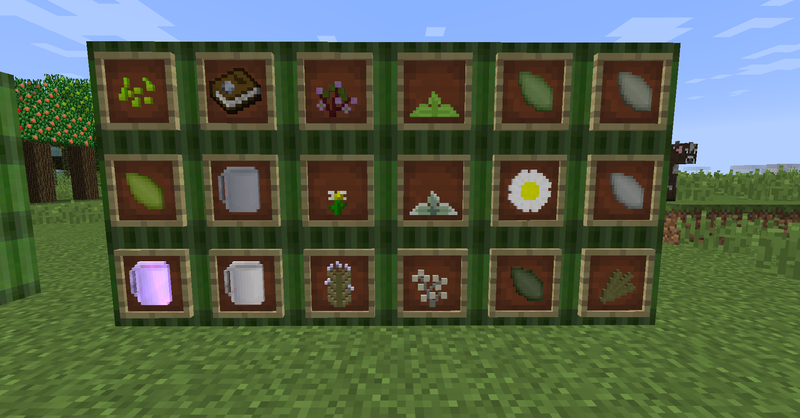 The herbal tea update adds a tea plant, and 6 herbs for the brewing of herbal teas to remove negative status effects. 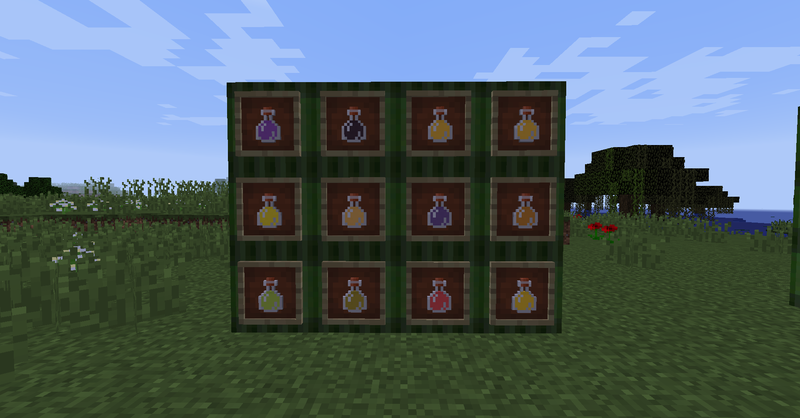 This includes the removal of the blindness, wither, and poison status effects. 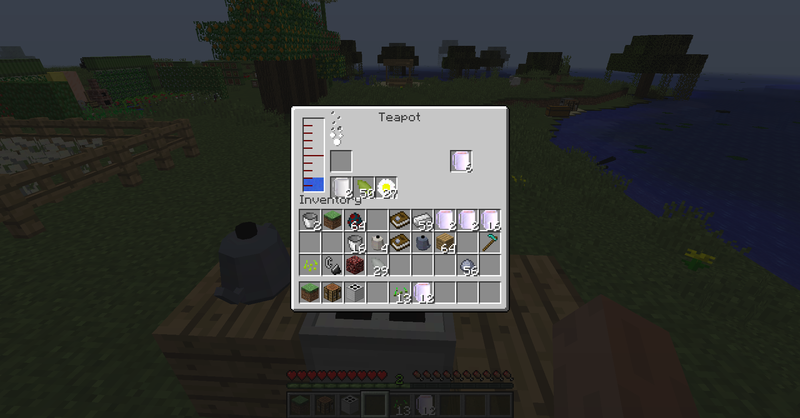 In addition, there are two new pottery guides, allowing for the production of the teapot and mug for storing and brewing tea respectively.